PUBG streamers and players will be going head to head against each other for charity, with the upcoming PUBG Charity Showdown tournament. The event will feature a $1 million prize pool, with every cent being donated directly to the organization of the winners' choice. The showdown will invite 40 gaming broadcasters and 40 PUBG pros to compete for their piece of the pie, and it'll be shown on the official PUBG Twitch channel as the action happens. 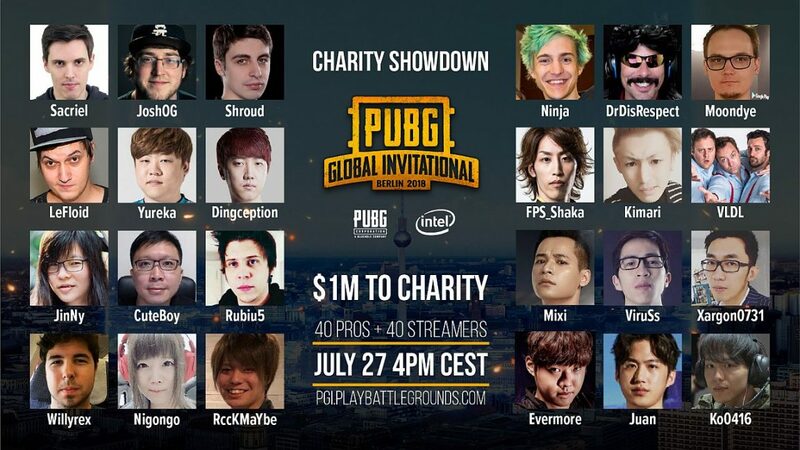 The PUBG Charity Showdown is part of the upcoming PUBG Global Invitational 2018, and you can attend for free if you already have a ticket to even just one day of the tournament. The PGI is happening from July 25 through July 29.